All the candidates who are interested in Government Teacher examinations can apply for kendriya vidyalaya teacher recruitment 2018 as they provide more than 10000 vacancies this time. Union Minister Prakash Javadekar has announced that Government will fill up to 10000 Vacancies this time from all the states of India. All the required and important information for kendriya vidyalaya teacher recruitment eligibility is given below. You will have to go through some or more eligibility obstacles for the selection of KVS Teacher 2018. If you clear all the eligibility then you will be able to sit in for the examination otherwise you won’t be able to give the examination held for KVS Teacher Recruitment 2018. Candidate should go through the below mentioned Criteria before submitting their forms online. AGE LIMIT : Age of the candidates should be between 21 to 35 years otherwise application will be rejected. Education Qualification : Candidates should be qualified as per the regulations for KVS Teacher Recruitment 2018 otherwise they won’t be able to get kendriya vidyalaya teacher vacancy details. You can check the image below to find out kendriya vidyalaya teacher recruitment eligibility for education qualifications. First, you will be required to open KVS Sangathan website on your Laptop / Computer. You can find the link to their official website mentioned in the post below. 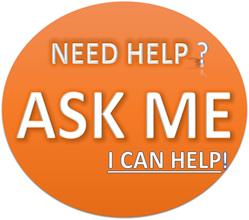 Now, search for recruitment / career option, and click on it. Search out for latest recruitment list and open it. Read all the instructions and details mentioned on the website. After reading the information fill the form with all your required details. Pay application fee according to your mode of payment. Now take a print out of the form and keep it for future use. 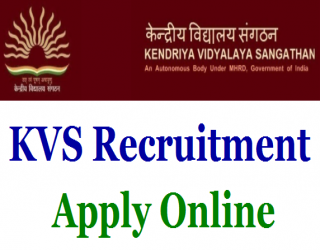 After filing the form you will be required to download kendriya vidyalaya teacher recruitment Question papers from their official website to start studying for Teachers Test at KVS. Students who are willing to apply for KVS Teacher Test 2018 will soon be updated with the proper Examination Time Table from KVS. You can wait and subscribe to KVS Teacher Test Notification 2018 on their Official Website which is mentioned below in the post. You can get KVS recruitment question papers not just from their official website but also from other private educational institutions where they teach for KVS Examination. You can also download the full course of KVS from their official website. If you’re left with some other queries you can check our website for more updates on KVS Teacher Test 2018.